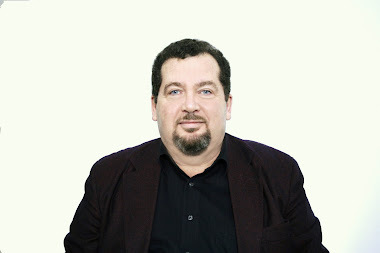 From Russia with private point of view by Gregory Tinsky: HUNGARY ON THE CURVE: WILL THE EUROPEAN COMMISSION «STRONGARM» ORBAN? “He’s in a very twisted situation. Orban understands that he has to be both firm and ready for give-and-takes at the same time. He is a career politician and is well aware of the rules of the game. 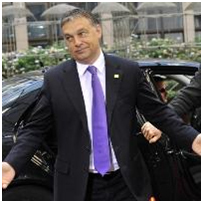 Hungary wants him to be rigid, while Brussels awaits compromises. Prime Minister has to explain the West that he is the only person, capable of keeping Hungary stable and peaceful”. “He would listen to everyone, yet would sharply question everyone too. Sometimes he even replies ‘No’ to a casual ‘Good afternoon’. Most of the times you leave his office in disappointment, understanding that you’ve failed to persuade him. He, however, calls for another aide and uses your own arguments in the conversation. No one knows what decision he would finally lean towards”. Prime Minister’s aides were sure that he was to trigger yet another war with the European Commission during his last visit to Brussels — he, instead, met with Barroso and promised to step back in a certain number of key issues. Hungary changes at such rapid pace that many citizens are unable to take cues from the situation; new laws are poorly written and contain factual errors, which have to be amended. The result is a terrible mess and a huge number of misunderstandings. According to close associates of the Prime Minister, this haste proceeds from the experience of former Orban’s premiership. Then all the reforms were introduced cautiously and plenty of concepts have never been realized due to a mere lack of time. His today’s goal is to bring all the reforms into life within the first two years of his term. In order to achieve this, parliamentarian approval of new bill drafts was hastened with their introduction by Fidesz MPs — the purpose of that is to avoid the lengthy procedure of approving each bill at every possible Ministry and institution along the way. Fidesz party placed quite a trust into Orban, party members trust his political hunch, efficiency and decisive nature, yet his manner of leadership estranges and alienates him even from the closest proxies all the more. Hungarians relate that on the verge of elections the atmosphere in the country was very special. People used to gather at every village, at every suburb, at every city district, discussing political news, arguing about politics, reading the poetry aloud. Such “civil groups”, although not affiliated with Fidesz, were the direct electoral platform of Orban. When Europe attacked Orban, these “groups” organized the marche to support his cause. About half a million people (out of 10 million strong population) took part in it. If you upscale the situation and project it onto America, it was as if 12 million Americans hit the streets of Washington. People decided to march voluntarily, without a hint of orchestration. This was the Hungarian reaction to an on-air broadcasting of the European Parliament sitting, where the Hungarian government was sharply criticized. The placards saying “Don’t want to be a colony!” were seen in the crowd. This impressed Brussels and the European rhetoric in regard of Hungary has softened a bit. Orban’s policy has split the Hungarian society into two. Half of the population supports him in his opposition to Europe, another half is more subjected to compromises. “Patriots” believe that Orban leads the country in the right direction, championing the national interests, while the “westerners” are sure that he makes Hungary drift away from Europe, being irritated with the legal chaos and all too frequent changes of legislation. A lot of things depend on whether Viktor Orban manages to unite the society, reconciling the divergent interests of various population groups. This is not a trifling task at all and the success of dealing with it is far from being predetermined. Viktor Orban, though, has a reputation of a man, whose cup of tea is exactly the situations like that. People, who know him, say that solving conflicts and standing up to challenges is what he was made for. We may only hope that the scale of conflicts and challenges won’t go beyond the scale of Orban’s own personality.